A- Win and he's in. Plain and simple. 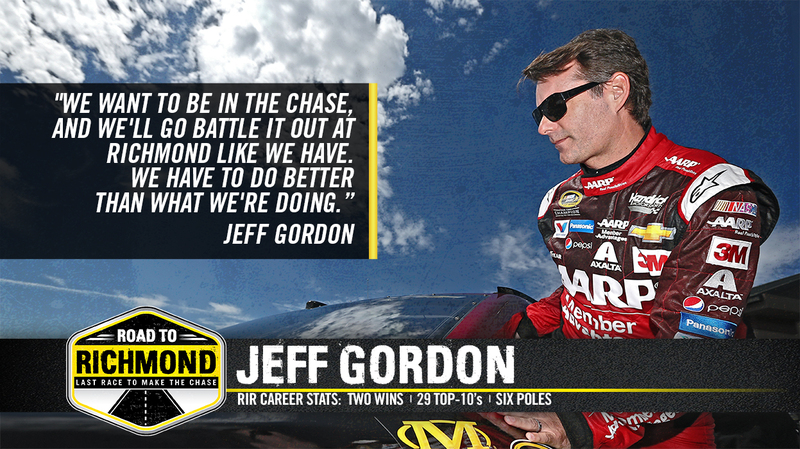 B- If a driver inside the current top-16 in Chase points finds their way to Victory Lane, Gordon qualifies regardless of where he finishes. C- If a driver outside the top-16 takes home the checkered flag AND Clint Bowyer finishes 2nd place while leading the most laps, then Gordon would need to finish better than 17th. D- If scenario C comes to fruition and Gordon finishes worse than 17th, he could still make it into the Chase so long as he finishes no more than seven spots below Paul Menard. Head hurting yet? For simplicity's sake Jeff, why don't you just pick up your third Richmond win.